Are you one of the Call of Duty user who skips the campaign and goes straight to mutiplayer? If so, your wait ends here. Activision is planning to show the game's mulitplayer on August 14th at 10:30AM PT and 1:30 ET. (6:30PM UK) The hour long livestream will consist of going in deeply profound on the multiplayer as well as numerous new announcements on the Call of Duty: Ghosts gameplay. Microsoft has only revealed minor details related to the multiplayer event and with this being a huge event for Call of Duty fans I am sure many are looking forward to seeing the multiplayer aspect of the game. The only peek at the mutiplayer we got is when Activision revealed that you will be able to customize your character from his head, body, and equipment. 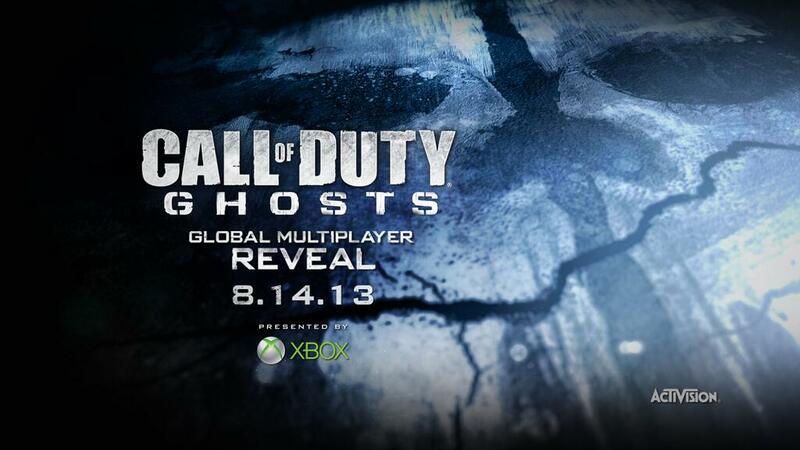 Also back in July, Activision announced that you can pre-order the game and get a free Call of Duty: Ghosts DLC. The DLC will include the map called Free-Fall - only information given is the map will have numerous distinct environments. As for more on the multiplayer, Infinity Ward studio community coordinator, Candice Capen, said Call of Duty: Ghosts will have "have a cooperative of some sort." A vague statement, with endless possibilities of what might be in store. More on, it was also previously rumored that Infinity Ward dropped the Spec-Ops mode for a new favored cooperative mode. Call of Duty: Ghosts is set to be released November 5th on Xbox 360, PS3, Wii U, and PC. It is also a launch title for the Xbox One and PS4 Make sure to check Activision on August 14th for the livestream.